Two “pledges” are circulating the Ohio statehouse, and in lieu of taking a stance on these pledges – legislators have been wrongfully and cowardly hiding behind an obscure Ohio statute that accuses people who seek their elected official’s pledge to vote (or not vote) for something of engaging in corrupt practices. What were these pledges that legislators feared so much? 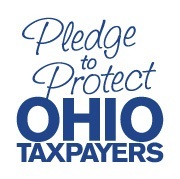 One pledge was designed to stop the Kasich supported 400% increase in Ohio’s “severance” tax. The second was a pledge to designed to stop the state of Ohio from implementing the state based healthcare exchange as pushed by Obamacare. Just to bring focus back to the actual policies for a moment – for the legislators who have already signed the Pledge to protect Ohio taxpayers from tax increases, and committed to not raise the severance tax in Ohio – you rock!! You have committed to your position for all of the right reasons, and your conscience can be clear knowing you have done the right thing. You are protecting economic freedom, stopping wealth re-distribution and predatory taxation, and should be commended!! I’ve spoken with a couple legislators who refused to sign the severance tax pledge, and even a couple who started saying I couldn’t ask people to make a pledge because of that silly debunked statute. And, quite honestly, their fear of not signing the pledge wasn’t about a statute and its certainly not a love of the severance tax – it’s a fear of John Kasich. These legislators fear what Kasich will do to them if they take a stand. How sad. Sad because Kasich wants to raise taxes, sad because Kasich is using childlike bullying as a way to get things done and sad because elected officials are more concerned with their careers than doing the right thing. Do politicians not understand, this is why people dislike them – an unwillingness to take a stand for anything. Why wouldn’t someone want to sign a pledge if they have principles? Either things are right or they are wrong. Hard principles do not change, so why not stand for the right principles? If you can’t pledge to prevent Obamacare from creeping into our state, and you can’t take stand against taking wealth from people and spreading it around to others – why are you in office? Your job is to protect individual rights and property. By failing to to take a stand on these key issues, you prove that you care for neither, and are only interested in advancing your own career – even if it violates individual rights and takes property in the process. What is the legacy this kind of behavior will leave for Ohio? Elected officials – we expect better. If interested in getting your elected official to sign a pledge to NOT raise the severance tax, learn more here.